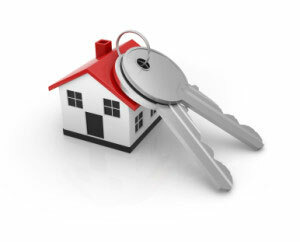 WE HAVE THE KEYS TO RENTING YOUR HOME! It is important to understand what is involved in Renting Your home. Here is a step-by-step explanation of all the details you need to be aware of. Don’t let it overwhelm you. Real Estate Experts has the knowledge and expertise to handle all the details for you. Your main expenses will be rental insurance, advertising, the cost of utilities, property maintenance, homeowner association dues (when applicable) and the monthly property management company fee. RENTAL INSURANCE: Real Estate Experts can help you find the best insurance rates. ADVERTISING: We have many cost-effective ways to advertise for good tenants. UTILITIES: You will need to decide whether you want to include utilities in the monthly rent or have your tenant take that on as a separate cost to them. We can help you with making these types of decisions. MAINTENANCE: Property maintenance is a snap! Whether it’s mowing the lawn or fixing the leaky sink, Real Estate Experts has a long list of quality certified and insured contractors to take care of it all! MANAGEMENT FEE: We will be happy to review our fee schedule with you based on your needs. Generally, our fees do not exceed 10% of the monthly rent. UTILITIES: Have a professional check your electrical, plumbing and heating systems to ensure they are in good working condition. APPLIANCES: They should be clean and operating properly. WALLS: Clean off any dirt. Fix any scratches. Dirt that won’t come off requires painting. Consider repainting any rooms that have bright colors. Neutral tones make rooms look bigger, brighter and will appeal to the widest range of prospective tenants. FLOORS & WINDOWS: Check your floors. Repair any buckling, bad carpet seams, broken tiles or bad vinyl. Your windows should have good seals. Check for any holes in window screens or worn window coverings. CLEANING: Clean the house top to bottom including your garage. If you show you care about your home, your tenant will be influenced to take the same care. FURNITURE: Most prospective tenants prefer to rent an unfurnished home. If furnished, expect some wear and tear to your furniture. RENTAL APPLICATION: Anyone interested in renting must fill out our rental application. At a $40 cost to the prospective tenant, we take their information and run a thorough credit and criminal check to confirm they are a quality tenant for you. We also will check their previous or current landlord and employment references and if they have ever been evicted. Like prices in home-selling, rental prices are based on location and the size and the property’s amenities. We have access to a myriad of resources. With your property in mind, we will analyze the current market and tell you what the “going rental rate” is for properties like yours. Maintaining your property’s value is of prime importance to us. Team Jodi Property Management Group will make monthly external property inspections for each residence we manage. Interior inspections will be performed quarterly. TIMING: It’s up to you, the property owner to tell us how long a lease you want to hold with your tenants. The standard lease length is one year. Six month leases are another option. We recommend you stay with a one-year lease because you risk your property being vacant for 6 months. a) RESERVES = You should reserve $500 to be held in a trust account in your name for unanticipated repairs or the court costs involved in evicting a tenant. b) HOA PROPERTIES = If your property is in an HOA Community, we can review your Covenants to make sure that renting is allowed and that your tenants follow all the required HOA rules. You can save on maintenance costs if you are willing to mow the lawn and fix the occasional backed up sink or leaky toilet. You will have to find your own tenant through advertising and showing your property. That may not be so easy if you work full-time. You will have to do your own credit-criminal checks on any prospective tenant to insure they are a good risk. Expect to be interrupted at work by a tenant calling you to fix that backed up sink or leaky toilet. You will have to collect their rent every month. If the tenant stops paying their rent, you will have to file a claim in small-claims court and attend the hearing. If the tenant isn’t maintaining your property or misbehaving, you will have to address them directly. You will also have to maintain a monthly income-expense report for yourself. You will have to answer and respond to all tenant phone-calls. The cost of our monthly management fee. We will get you the maximum return on your rental property and help you stay on top of your investment with satisfied, quality tenants. Make an appointment to come visit us at our office! We’d love to sit down with you to discuss your rental management needs!